Simplify your business every day.
. . . Business Management . . .
Easy and quick to handle, Optimizze facilitates your work organization and business management. Easy and quick to use thanks to its 335 paper tutorial and its 350 video less than 3 minutes, Optimizze has been designed to get to the basics in a minimum of time. Very complete, Optimizze may seem at first glance complex to use, yet the user naturally focuses on the information he really needs and uses only the portion of the software that is really useful to him. Our self-study tutorials have been designed to get you straight to the point in a minimum of time and allow you to complete your knowledge gradually. With the growing experience you will use an ever more complete part of the software by completing your training at your own pace. To illustrate the simplicity of Easy Optimizze we propose this tutorial which in 8 minutes will allow you to create a customer, create an item, and create an invoice. In only 8 minutes you will be able to create invoices in just 8 minutes. And by extension credit notes, offers, delivery notes and much more. You doubt that? then make your first bill by following this tutorial. With Optimizze, each step becomes a starting point. Everything is archived and organized. There are countless time savings. Optimizze is a complete enterprise management software whose goal is to simplify tasks by breaking them down into simple subtasks for one or more people. The follow-up of the current tasks is automatic and the information relating to a task is accessible to all persons having a link with this task. Each step becomes a starting point and permanently we know who did what and where things are. 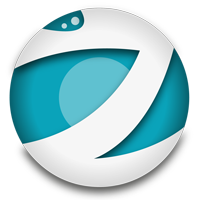 Optimizze allows you to delegate things while maintaining complete control over the whole process. You can use the access rights to define precisely who prepares a task and who validates it. Whether you are alone or with several Optimizze, it is the guarantee of adopting a scalable business plan that will adapt day after day to reflect your way of working. I'm alone and I place my orders myself. I don't have time to label the goods that are delivered to me and it's not useful because I manage everything myself. I place my orders myself but sometimes I have a storekeeper who receives them. There's nothing labeled to save time but I need to know which goods have been delivered and which ones I'm still waiting for. I validate the orders my secretary has prepared. My Storekeeper labels all the goods to find out about batches and guarantees. My secretary and my warehouse clerk prepare orders for merchandise that I validate. My secretary prepares and validates orders for office equipment such as paper, Bic and beverages. My surface technician prepares and validates maintenance product orders herself. We have 3 different order schemes with different authorizations depending on the materials ordered. 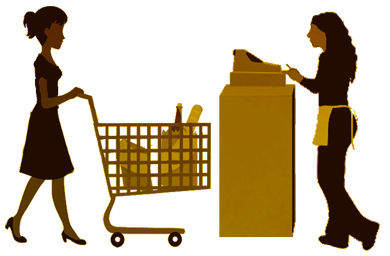 Automatic orders help us in this task to prepare orders and minimise the fixed stock value. Fully customizable and available in 5 versions, Optimizze is completed gradually as your needs evolve. With our wide range of scalable products, you save time and money by choosing only the features you need. Then you are free to add to your software as your business grows. You can use Optimizze to design your own business management software. You develop the tool that suits you best while saving human, material and financial investment. Optimizze is a software composed of more than 600 modules of which 120 are free. Gathered in 5 packages increasingly complete, these modules can also be individually acquired when needed. When you use a module for which you do not have a license, Optimizze offers you to buy it for only a few euros and opens our e-commerce site by displaying only the modules that may be of interest to you. Once the payment has been made, your license is sent to you by email and you can immediately use your new module. It's hard to make it simpler, faster and cheaper because you only buy what you really need. Unpaid, due dates, cash-flow, recalls, batches, traceability, stock, costs, expiration,.... Information is ubiquitous and accessible. You need a clear view of your assets, your expenses, your financial commitments and your future income for sound management. Monitoring your cash flow, cash flow, cash flow, payment delays and those of your customers is essential. Valuing your inventory in real time, correctly estimating your customers' payment terms is essential to any well-managed company. Because the financial reality does not always reflect contractual obligations, our forecast simulations are based on contractual payment terms while taking into account (if desired) your customers' payment delays. You can see clearly in your cash flow, compare sales or margin curves are intuitive functions integrated natively in our software solutions. 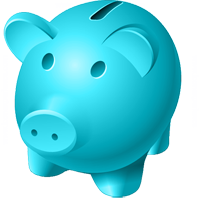 At any time you are kept informed of overdue payments, overdrafts, overdrafts, late payments. Encoding of documents (purchase invoice).
. A graph of the turnover generated by this supplier per month, quarter or year.
. Indication of unpaid amounts, total turnover, credit line and outstanding amounts.
. Real-time graph of payment delays (red), green for invoices paid on time.
. The due date is yellow. Quarterly sales overview (also available by month and year). Evolution of sales turnover over a given period. Financial projection over 12 months. Comparison of cash flow (in mauve) with receipts (green) and expenses (red). Your data is clear. You know who, what and when. The tools speak to you and your choices are better. Whether it's a small or medium-sized company, Optimizze provides you with increased and constant traceability on all the daily actions carried out within your company. The information is sent to you in real time according to the rules you have established. You define the constraints and control points you want to impose yourself. Your way of thinking revolves around your business management and not the other way around. You are unique, it's your strength! Optimizze adapts to you whether you are a small business, a SME or a craftsman. From Free Optimizze for the young self-employed person who wants to start off timidly at Ultimate Optimizze, which integrates fully with your SME, to Easy-Optimizze, which is available in a wide range of packages and modules aimed mainly at small businesses, our enterprise management software has been designed to fully meet the needs and requirements of everyone. Because each company has a different conception of its internal management according to its size, its sector of activity or its budget, Optimizze is built like a toolbox that can be completed at its own pace. Thus, for example, a young merchant who starts his professional activity and who does not necessarily have the financial means to acquire an ERP may simply opt for the Free version and then, if he so wishes, upgrade to one or more Easy-Optimizze versions and finally, upgrade to a standard rental or purchase version (Rental Optimizze or Ultimate Optimizze). What differentiates Optimizze from all other business management software is that at any time, you can switch from one version to another without worrying about the possible loss of data that you've encoded before. Indeed, your databases remain intact; whether you evolve from Free Optimizze to Ultimate Optimizze, no gateways are required and no re-encoding must be performed.
. . . Our different Solutions . . .
Help me to choose ! Optimizze evolves and is implemented in stages.
. At your own pace, our ERP integrates with the growth of your company. You are unique and so are your work methods. Your company conception is your major asset. you define yourself the rules and parameters that will be useful to you. Designed to assist you in your growth, Optimizze is a toolbox that can be gradually expanded. Numerous additional modules are available to help you to develop the software according to your needs. Day after day, Optimizze offers you the opportunity to adapt the way your company works. Human, material and financial constraints are your daily life. Our solutions will meet your needs throughout your growth. Your computerization will be done at your own pace. All these characteristics make Optimizze an ERP to your image. your information is available wherever you are.
. . . Features . . . Designed to manage up to 200 users, Easy-Optimizze is gradually growing. Knowing who has done what and when, and the implications this has for your finances or inventory management, are questions that our solutions can easily answer. The traceability of batches, stocks and document flows is omnipresent in order to guarantee the serenity and seriousness of your business. Knowing what your employees are doing is giving you the opportunity to give them total confidence and enable them to reveal their full potential. Documents are at the very heart of our company. Some represent a commercial act, a commitment, a request or the result of an action. 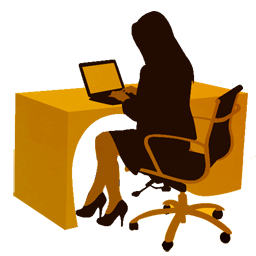 Each document has its own role related to the function assigned to it. It represents a process in your organization that results from your needs. It integrates fully with the rules of your company. Optimizze reproduces this reality by allowing you to make a document exactly what you want it to be. Thus for some, an invoice will be used to claim money, while for others it will accompany a stock removal. And for others it will only be an administrative document that does not interact with the rest of society. Optimizze provides you with more than 350 parameters that interact with your finances, stocks, document flows, recalls, statistics and so that they precisely respect the operating rules you have defined in your company. Traceability is one of Optimizze's key strengths. Knowing who does what, when and with what type of documents and/or goods becomes possible in a few clicks. At any time, you have a clear and complete overview of your company's situation.
. Inventory management offers a constant visibility on the IN and OUT movements of your company's various stocks, whether they are multiple, mobile or outsourced. You benefit in real time from a clear and precise follow-up on the state of your stocks in the various production sites. Publish on the Internet your stock situation in real time is also very easy to achieve. You are in permanent contact with companies that are either prospects, customers or suppliers. These companies are above all partners whose role is not limited to buying or selling goods. Optimizze integrates these multiple roles in the traceability of documents, stocks and batches. Knowing where goods come from, to whom they have been delivered, find an outdated or defective lot are just a few examples of the view that our solutions give you on the exchanges you have with the outside world. A clear view of your assets, expenses, financial commitments and future income is essential for sound management. Tracking your cash flow, cash flow, cash flow, payment delays and those of your customers is essential. Valuing your inventory in real time, correctly estimating the payment terms of your customers is essential to any company in full growth. Our predictive simulations are based on contractual deadlines, taking into account the actual payment delays of your customers if you wish. Seeing clearly in your cash flow, comparing sales or margin curves are intuitive functions integrated natively in our software solutions.
. . . Galleries . . .
Factures, bons de commande, notes de crédit, bon de livraison, offres, statistiques, rappels. Descriptions, traductions en 15 langues, fiche technique, tableau de prix, infos fournisseurs, code-barres. Quantité par stocks, liste des lots, historiques des transactions par lot, FIFO/LIFO, analyses, réception. 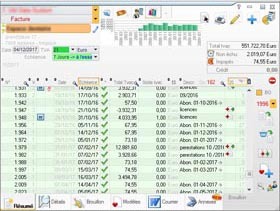 Cash-Flow, prévisionnel financier, calendrier des charges et revenus, crédits en cours, retards de paiements.
. . . Tutorials . . .
VAT registration : BE 0460.158.201.
. . . Choose your pack . . .
. . . And in addition . . .
1) What are your needs? Manage the operations related to my company's purchases, offers and sales. Manage my stock, labels, items, batches, orders, deliveries and receptions. Manage a cash register with a scanner and print invoices/credit notes as well as cash receipts. How many people will need to use the software? I start alone, maybe later I'll add users. I choose a more complete but economical package. My business is growing and my needs are changing rapidly. What is the budget you want to spend on your software ? The budget is not a determining criterion. I want to pay a small monthly fee, get support and receive updates. How many branches or stores do you have to manage? My company is located in one place. I have several stocks or sales outlets geographically close by. My company is made up of various departments, stocks or subsidiaries. We are at your disposal on +32 (0)68/64.67.50 for any technical support request. You are invited to download the software Teamviewer by clicking here. We will be pleased to help you as soon as possible. Création d'un destinataire Comment modifier un destinataire ? Comment supprimer un destinataire? Est-ce possible d'encoder des informations complémentaires sur le destinataire? De quelle manière peut-on classer le destinataire dans un ou plusieurs dossiers? Peut-on encoder un numéro de compte bancaire? Comment créer des journaux comptables? Est-ce possible de créer des prix spécifiques pour un ou plusieurs articles? De quelle manière peut-on modifier un prix spécifique pour un ou plusieurs articles? Peut-on supprimer un prix spécifique pour un ou plusieurs articles? Comment rechercher un destinataire? Est-ce possible d'imprimer les données d'un destinataire? Qu'en est-il des intermédiaires d'adresse? Comment modifier tous les destinataires d'un groupe? Comment créer une personne de contact pour un destinataire? Comment modifier une personne de contact? Comment supprimer une personne de contact? Comment faire pour rechercher un destinataire? Peut-on modifier un destinataire? Comment rechercher un contact? Est-il possible d'ajouter un nouveau contact? Est-ce possible d'exporter l'annuaire? Comment faire pour créer un article? Est-ce possible de traduire les descriptions? De quelle manière peut-on encoder des informations complémentaires pour un article? Comment peut-on définir des prix pour un article? Comment peut-on définir la dévalorisation d'un article? Peut-on créer des journaux comptables? Comment définir des prix promotions pour un article? De quelle manière peut-on définir les prix d'un article par fournisseur? Comment définir les tailles et les couleurs d'un article? De quelle manière peut-on joindre un fichier matrice contrôle qualité ISO 9002 à un article? De quelle manière peut-on joindre des certificats et annexes à un article? Peut-on créer des critères Seveso pour un article? Comment modifier un article? Comment supprimer un article? De quelle manière peut-on filtrer les articles? Comment peut-on faire une recherche d'articles? Qu'en est-il des critères configurables? Peut-on modifier plusieurs articles? Comment identifier les articles qui n'ont pas de quantités encodées par stock? De quelle manière peut-on identifier les doublons de lot dans un stock et les supprimer? Est-ce possible de faire une mise à jour des prix? Comment substituer plusieurs codes article? Comment peut-on supprimer plusieurs articles? De quelle manière peut-on importer des articles? Peut-on créer une famille d'articles? Comment créer une sous-famille d'articles? De quelle manière peut-on modifier une famille d'articles? Comment supprimer une famille d'articles? Est-ce possible d'indiquer les quantités d'un article pour les commandes automatiques? Comment rechercher un article? Est-ce possible de mettre les quantités minimales, idéales et maximales d'un article à zéro pour le stock sélectionné? Peut-on reprendre les quantités minimales, idéales et maximales de la fiche article pour ce stock? Comment faire une recherche par le code article? De quelle manière peut-on faire une recherche par numéro de lot? Est-ce possible de consulter la liste des lots? Peut-on modifier une réservation dans les stocks? Comment supprimer une réservation dans les stocks? Peut-on consulter les analyses d'un lot? Est-il possible de consulter les certificats d'un lot? Comment rechercher le prix d'un article par type de document? De quelle manière peut-on rechercher les prix et réductions en vigueur pour un article? Comment créer un nouveau document? Quels sont les différentes manières d'encoder un document? Comment encoder une ligne de détail en utilisant le code article? De quelle manière peut-on encoder un article par son code-barres? Comment faire pour activer le mode autoscan? Peut-on encoder l'article via sa description dans la fiche article? Comment encoder l'article via sa référence fournisseur? Peut-on encoder un article par un numéro de lot? Comment encoder l'article via le module de recherche avancée d'article? Comment encoder l'article via la fiche article? De quelle manière peut-on encoder l'article via l'historique article-destinataire? Comment créer rapidement un article? Comment encoder un article dynamique? De quelle manière peut-on modifier l'en-tête d'un document? Comment peut-on insérer une ligne? Comment modifier l'ordre des articles? Comment supprimer des lignes? De quelle manière peut-on adresser le document à une personne de contact? Peut-on supprimer un document en mode brouillon? Est-ce possible de relier un document à un dossier? Comment encoder une lettre jointe? Comment valider définitivement un document? Peut-on bloquer un document? De quelle manière peut-on transférer un document? Est-ce possible d'encaisser un acompte? Comment créer un modèle de document? Peut-on créer un document à partir d'un modèle? Comment rechercher les articles fournis par destinataire? Comment faire pour transférer un document? De quelle manière peut-on fusionner des documents? Comment accéder à l'historique des documents transférés? Comment fonctionne l'onglet résumé? De quel manière fonctionne l'onglet détails? Comment fonctionne l'onglet brouillon? Comment fonctionne l'onglet modèles? De quel manière fonctionne l'onglet courrier? Comment rechercher un document avec le contenu de l'en-tête? De quel manière peut-on rechercher un document avec le contenu des lignes de détails? Comment rechercher un document par son identifiant? Peut-on rechercher un document par son numéro? Est-ce possible de rechercher un document par son dossier? Comment fait-on pour ouvrir une caisse? De quelle manière peut-on créer un nouveau ticket de caisse? Est-ce possible d'interrompre la saisie d'un ticket de caisse? Comment modifier un ticket de caisse? Peut-on attribuer une ristourne sur un article? Comment supprimer un article? Comment fait-on pour modifier le client? De quelle manière peut-on clôturer un ticket de caisse? Est-ce possible d'imprimer une facture en plus du ticket de caisse? De quelle manière peut-on réimprimer le dernier ticket de caisse? Comment supprimer les tickets de caisse ouverts? Comment fait-on pour clôturer une caisse? Comment faire une recherche rapide? De quelle manière peut-on faire une recherche avancée? Comment fait-on une recherche par référence fournisseur? Est-ce possible de faire une recherche par prix et stock? Comment peut-on sélectionner les paramètres par défaut pour les nouveaux destinataires? De quelle manière peut-on paramétrer les réductions automatiques des prix? Est-ce possible de faire une conversion d'unité pour tous les articles ? De quelle manière peut-on gérer les étiquettes? Comment peut-on configurer les stocks? Comment faire pour créer un stock? De quelle manière crée-t-on les règles de puisage? Qu'en est-il de la création des règles de transfert de lot? Comment peut-on paramétrer le coéfficient K? Comment peut-on paramétrer la jointure d'un courrier? Peut-on configurer les règles de transfert? Comment configurer le modèle de documents? De quelle manière peut-on modifier les couleurs? Comment configurer les options? Est-ce possible de configurer l'aperçu du document? Comment peut-on créer de nouveaux modèles? Comment faire pour supprimer un modèle? De quelle manière peut-on valider les modifications? Qu'en est-il de la présentation? Comment faire un courrier joint? De quelle manière peut-on modifier le haut de page? Comment faire pour modifier le logo? Qu'en est-il du proforma? Comment peut-on configurer le titre? De quelle façon peut-on configurer le style du destinataire? Est-ce possible de changer l'apparence du fax? Comment peut-on changer les cadres de couleurs? De quelle manière peut-on configurer l'échéance? Qu'en est-il de la configuration de l'identifiant? Comment configure-t-on la description du document? De quelle manière configure-t-on le résumé du document? Comment fait-on pour configurer la description des articles? Peut-on configurer les remarques de description d'articles? Comment peut-on changer le style des photos d'articles? Comment change-t-on le format de la quantité? Comment configure-t-on l'unité de l'article? De quelle manière peut-on configurer le prix de l'article? Est-ce possible de configurer le prix de l'article de la deuxième devise? Comment modifie-t-on la largeur de la description de l'article? De quelle manière change-t-on le style de l'origine du document? Est-il possible de changer l'image de fond? De quelle manière peut-on changer le message d'information? Qu'en est-il de la configuration du total de réduction? Est-ce que la ventilation de la tva peut-être configurée? Comment configure-t-on le bas de page? Comment peut-on créer un nouveau type de document? De quelle manière peut-on renommer un document? Est-ce possible de changer l'icône d'un document? Qu'en est-il de la numérotation? Peut-on changer l'apparence? Comment change-t-on l'adresse? De quelle manière peut-on changer les paramètres du prix à l'encodage? De quelle manière peut-on cloner un document? Comment fait-on pour cloner tous les documents? Peut-on changer le nombre d'exemplaires? Comment configure-t-on les actions sur les stocks? Qu'en est-il de la liaison comptable? Comment peut-on gérer la configuration des prix? De quelle manière peut-on gérer l'archivage et la création automatique d'article? Est-ce possible de limiter les commandes automatiques à certains articles? Qu'en est-il des rappels automatiques? Comment rédiger un texte d'accompagnement? De quelle manière peut-on configurer l'imprimante? Est-ce possible d'imprimer une lettre de change? Peut-on configurer les transferts automatiques? Comment gère-t-on la liaison aux pères? De quelle manière peut-on configurer la liaison comptable? Est-ce possible de configurer les divers? Peut-on gérer les paramètres de l'échéancier? Comment fait-on pour créer une caisse? De quelle manière gère-t-on l'apparence du ticket de caisse? Est-ce possible de créer un cours de change? 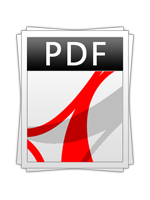 Adobe Reader must be installed on your computer to read the manuals. Click here to download it . Free-Optimizze is a simple, scalable and complete ERP/CRM-based business management software for auto entrepreneurs, small and medium sized businesses. Traceability of batches, document flow tracking, automatic commands, barcode management, scanning of paper documents and automatic archiving of produced documents guarantee compliance with ISO, GMP and Seveso standards. Optimizze is delivered preconfigured in a very simple way so that it can be used without any additional configuration after installation. The customization of your software is then completed according to the evolution of your needs. Designed around a multi-stock management system with very high traceability, Optimizze links batch movements, goods movements, production management, human interaction and administrative documents. Optimizze can automatically translate all descriptions of your articles in 15 languages into 15 languages. With a website generator, Optimizze displays in one click the articles, prices and stock status of your choice in your internet shop window. Optimizze is the ideal scalable enterprise management solution for small and medium-sized businesses that want to implement management software without spending time. With its subscription management, financial monitoring, financial forecasting, schedule, reminders, advanced statistics Optimizze is the ideal scalable enterprise management solution for small and medium-sized businesses that want to implement management software without spending time. Free-Optimizze is the swiss knife for entrepreneurs who want to manage their business well. What hardware do I need to use Optimizze? How to install Optimizze ? First of all, you must download the installation file. Then you launch the executable so that it automatically downloads the latest version. After the software download is complete, the installation window opens. How are the add-on modules installed? Once your add-on module has been purchased, you should have your serial number on the invoice or license slip. Launch Optimizze software, and go to Licensing Management. Encode your serial number, save and restart the software. Take advantage of your completed software. How do I get started with Optimizze? Watch our Tutorials on our website. The software will automatically download the help files (videos and PDF). So you can train yourself directly from Optimizze by clicking on the "?" icon. at the top right of each window. I can't watch the training films. If you are unable to play Youtube videos on our website, please download the latest version of your browser and / or install Adobe Flash Player. If you are unable to view the training videos in the Optimizze software, please download VLC. In addition to the 128 free modules, we propose you to try for 30 days all the modules of Easy-Optimizze. Continue to use indefinitely the many free Free-Optimizze modules. Opt for a more complete version and migrate to the paid version of your choice of Easy-Optimizze. Extend the trial period to better define the modules you need. or contact us for a solution including service in rental or purchase. Les mises à jours sont importantes, elles garantissent le bon fonctionnement de votre Logiciel. Une installation complète qui met à jour la structure de vos données. Il est indispensable de faire un backup avant de procéder à cette installation et tous les utilisateurs doivent quitter le logiciel. Il est conseillé de toujours installer le dernier Setup. Télécharger et enregistrer le fichier de mise à jour. Exécuter le fichier de mise à jour et suivez les instructions à l'écran. Un ensemble de correctif qui ne change pas la structure de votre base de données. Il n'est pas utile de prendre un backup mais tous les utilisateurs doivent être déconnecté pour procéder à la mise à jour. Il est conseillé d'installer cette version si vous rencontrez un problème avec un Setup antérieure. Assurez-vous d'avoir installé le dernier Setup avant d'installer cette version. Prennez un backup de votre fichier Optimizze.exe présent dans le répertoire d'Easy-Optimizze. Recopiez le fichier téléchargé dans votre répertoire Easy-Optimizze. Mise à jour contenant un correctif spécifique et qui peut-être faites pendant que la base de données et le programme sont utilisés. N'installez ces mises à jour que si vous rencontré une problème après avoir installé le dernier Setup et la dernière version de l'Executable. v16.20Dd 'Executable' doit être installée au préalable. v16.20Dc 'Setup' doit être installée au préalable. 19/11/2015 : Multilangue: Correctif spécifique aux utilisateurs antérieur au 17-01-2001: --> Détection de la langue à utiliser lors de l'impression de document en Anglais. 16/11/2015 : Sécurité des documents - Réécriture de la fenêtre et de la procédure globale d'attribution des droits d'accès par défauts aux utilisateurs. v16.20By 'Setup' doit être installée au préalable. Articles - Gestion des images : Ajout de d'un viewer d'image permettant de zoomer, sauvegarder et imprimer les images présentes dans la fiche article. Articles - Viewer d'image : Positionnement inteligent du viewer en fonction de la taille de l'image et de la résolutiion d'écran. 22/09/2015 : Sécrutié - droits d'accès aux documents. De nouveaux droits d'accès apparaissent par type de document/ facturant pour chaque utilisateurs. Comptabilité: des droits d'accès définissent qui peus éditer la numérotation des pièces comptable et permettent de masquer les outils de navigations dans les pièces comptables. 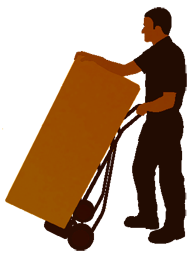 Attestations de soins : le chemin des archives des attestations PDF. devient un chemin relatif permettant de déplacer aisément la base de donnée. v16.20Cn 'Executable' doit être installée au préalable. Commandes automatiques: Ajout d'une liste déroulante permettant de spécifier si les commandes portent sur les articles déclassés, sur les articles actifs ou sur tous les articles. 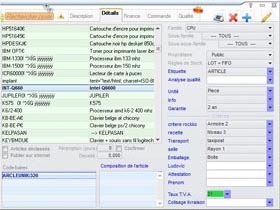 Commandes automatiques, ajout de trois témoins spécifiant si les QTT min, idéales et max sont issues des stocks ou de la fiche article. - Intégration du module Multilingue dans les rappels automatique. Document : Transfert automatique conditionnel :--> en cas de transfert soumis aux remboursement, si le document généré est vide i est supprimé. La trace du transfert résiduel est désormais supprimé. Securité des documents : correction d'un disfonctionement mineur conjoint aux documents inactifs. - des droits d'accès documents | Stock | extension pour tous les Users incluant les anonymes. Optimisation de performance de code. Documents - impression - la dénomination du service est remplacée par un "0" --> correction du problème. Documents - impression - la 4eme colonne ne s'aligne pas correctement au niveau de la ligne de séparation des articles --> correction du problème. Documents - description du service par défaut : extension du nombre de caractère utilisable. la limite de 50 char est désormais levée. Lettre de rappel: Création d'un éditeur de lettre de rappel multilingue en 4 onglet. Document: impression : Etat de paiement: Notatin plus fine des historiques des paiements et des options d'affichage de ceux ci. Stock : Recherche avancé : ajout d'une colonne contenant un critère de son choix avant le code article. Scanner de document : Ajout d'une option permettant de spécifier si un document scanné doit être imprimé lorsqu'au imprime le document Optimizze auquel il est lié. Document: impression : gestion du titre précédent le nom du destinataire en mpde archivage de données. , l'utilisateur, la société, une période. Impression d'étiquette : Impression du bordereau - résolution d'un disfonctionnement au niveau du choix de l'imprimante. v16.20Az 'Setup' doit être installée au préalable. Etat de stock : coorection d'un bug sur les filtres par famille. Documents: onglet attestation: ajout du champ indiquant l'organisme de paiement lié au destinataire. Documents-> paramètres-> comportement avancés -> règles de transfert automatiques -> Ajout du mode de transfert automatique vers les organismes de paiement. Documents: Ajout d'un module permettant d'afficher l'état des paiements pour chaque document depuis l'onglet résumé. Easy-config: Ajout d'un boutons permetant de gérer les organismes payeurs. v16.18t 'Executable' doit être installée au préalable. v16.18m 'Setup' doit être installée au préalable. v16.17n 'Setup' doit être installée au préalable. v16.17d 'Executable' doit être installée au préalable. v16.16x 'Setup' doit être installée au préalable. v16.16o 'Executable' doit être installée au préalable. v16.16h 'Setup' doit être installée au préalable. v16.15x 'Executable' doit être installée au préalable. v16.15s 'Setup' doit être installée au préalable. v16.15n 'Setup' doit être installée au préalable. v16.15j 'Setup' doit être installée au préalable. v16.14n 'Setup' doit être installée au préalable. v16.14y 'Executable' doit être installée au préalable. v16.14h 'Executable' doit être installée au préalable. v16.14b 'Setup' doit être installée au préalable. v16.13v 'Setup' doit être installée au préalable. v16.13n 'Setup' doit être installée au préalable. v16.13u 'Executable' doit être installée au préalable. v16.13k 'Setup' doit être installée au préalable. v16.12y 'Executable' doit être installée au préalable. v16.12x 'Setup' doit être installée au préalable. v16.12r 'Setup' doit être installée au préalable. v16.11a 'Executable' doit être installée au préalable. v16.10c 'Setup' doit être installée au préalable. 'Setup' doit être installée au préalable. Buy online the modules and packages you need to optimize your business management without further delay. Nous vous remercions de la confiance que vous nous accordez. Ci-dessous, les conditions générales de vente vous feront prendre connaissance de vos droits et obligations lorsque vous visiterez notre e-boutique et y passerez commande. En complétant et en validant toute commande sur http://www.optimizze.com, il est entendu que vous acceptez sans réserve les conditions générales de vente reprises dans ce texte. Enregistrement TVA : BE 0460.158.201. Toute commande passée sur le site de la boutique Optimizze est réputée définitive et se compose de plusieurs étapes. Chaque étape de la commande est franchie par la validation d'un bouton de confirmation de celle-ci. Si l'acheteur désire modifier un élément de sa commande, il a la possibilité de le faire avant la validation de la dernière étape. Lors de cette dernière confirmation, l'acheteur s'engage contractuellement. La société Utildata System envoie à l'acheteur un courrier électronique de confirmation de sa commande dans les meilleurs délais. L’acheteur parcourt le catalogue des produits sur la base de critères introduits par lui. Au sein des divers résultats de la recherche effectuée par l'acheteur, ce dernier sélectionne le produit qu'il se propose d'acquérir via le bouton acheter. Un " panier d'achats ", comprenant le produit sélectionné, s'affiche. L'acheteur peut ajouter d'autres articles à son panier ou clôturer sa commande en cliquant sur le bouton de procéder au paiement. A l'issue de l'étape de sélection du produit, l'acheteur doit s'identifier afin de pouvoir acheter les articles retenus. L’acheteur doit donc s'enregistrer auprès du site en remplissant le formulaire proposé de manière complète. Un " compte client " est ainsi créé. L'identifiant est composé d'un nom d’utilisateur (ou son email utilisateur) et d'un mot de passe. Les articles dématérialisés seront livrés sous forme de liens hypertextes présents dans l’email de confirmation de commande. L'acheteur est invité à saisir une adresse de facturation. Les informations concernant le mode de paiement lui sont communiquées. Réalisez vos achats à l'aide de votre carte de crédit en toute sécurité sur notre site web via le service de PayPal. Le consommateur garantit à la société Utildata System qu'il dispose des autorisations éventuellement nécessaires pour utiliser le mode de paiement choisi lors de la validation définitive de la commande. Les données enregistrées par la société Utildata System constituent la preuve de l'ensemble des transactions passées avec ses clients. Les données enregistrées par le système de paiement constituent la preuve des transactions. Les prix sont valables le jour de la consultation du site. Ils peuvent être modifiés sans préavis. Les prix indiqués s'entendent hors taxes jusqu’à l’étape avant paiement. Les prix sont indiqués en euros et ne sont valables qu'à la date de la validation définitive de commande par l’acheteur. Le paiement de la totalité du prix doit être réalisé lors de la commande. A aucun moment, les sommes versées ne pourront être considérées comme des acomptes. La société Utildata System ne peut être tenu responsable des erreurs contenues dans ses offres. N'hésitez pas à nous signaler une erreur via la rubrique « contact » de l’e-boutique. Nous la corrigerons aussitôt votre e-mail reçu. En tout état de cause, la société Utildata System ne pourra être tenu responsable des dommages résultant de l'indisponibilité d'un article. En aucun cas, nous ne garantissons que le software ou le hardware fournis soient aptes à répondre à un problème particulier propre à l’activité de l’utilisateur. L’octroi de la garantie suppose que le software livré sera utilisé dans les conditions de l’offre ou, à défaut, dans des conditions normales d’exploitation, telles que mentionnées dans les catalogues, notices, manuels mis à la disposition de l’utilisateur. Nous ne sommes tenus à aucune indemnisation envers l’utilisateur ou envers les tiers pour les conséquences de l’usage du software, qu’il s’agisse de dommages directs ou indirects, d’accidents aux personnes, de dommages à des biens distincts de notre matériel, de pertes de bénéfice où de manque à gagner, de dommages provenant ou à provenir d’une détérioration ou de pertes de données enregistrées par l’utilisateur. Concernant les logiciels, aucun échange et/ou remboursement n’est possible dès le moment où l’email contenant le numéro de licence personnel a été envoyé au client et que le client a reçu sa clé de débridage du logiciel. Avant de commander son logiciel et d'ainsi recevoir sa clé de débridage, l'acheteur a la possibilité d'utiliser le logiciel en version d’évaluation, ce qui lui permet de tester le logiciel et d'être sûr que celui-ci correspond à ses besoins. 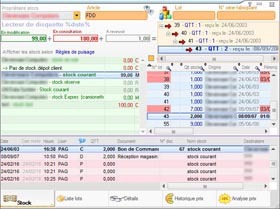 Tout acheteur de logiciel est sensé avoir testé celui-ci et être d'accord avec ses fonctionnalités avant de demander sa clé de débridage. L'achat d'une licence n'est pas remboursable car, dès que la clé de débridage du logiciel est en votre possession, elle vous donne un droit d'accès au logiciel sans qu'aucune mesure ne puisse être prise pour vous en empêcher ou pour retirer le logiciel de votre ordinateur. Utildata system ne peut en aucun cas être contraint de rembourser l'achat d'une licence de logiciels dès que la clé de débridage a été fournie au client. Le contenu de ce site est protégé par le droit d’auteur. La copie, la traduction, la modification ou la diffusion de tout ou partie de celui-ci, sous quelque forme que ce soit, est interdite, sauf accord écrit préalable d’Utildata System. Toute infraction à de tels droits intellectuels peut donner lieu à des poursuites civiles et pénales. Utildata System ne pourra être tenu responsable d’aucun préjudice quel qu’il soit découlant de l’utilisation de son site Internet, en ce compris mais de manière non exhaustive, les préjudices directs et indirects. Utildata System n’assume notamment aucune responsabilité concernant le contenu des sites vis-à-vis desquels il établit un lien hypertexte, en particulier au regard de la protection de la vie privée. Utildata System ne saurait être tenu pour responsable de l’inexécution du contrat conclu en cas de rupture de stock ou indisponibilité du produit, de force majeure, de perturbation ou grève totale ou partielle notamment des services postaux et moyens de transport et/ou communications, inondation, incendie. 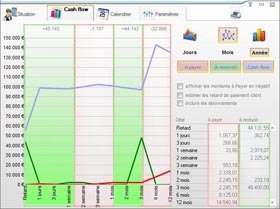 Utildata System n’encourt aucune responsabilité pour les dommages indirects du fait des présentes, perte d’exploitation, perte de profit, perte de chance, dommages ou frais. Utildata System propose la procédure de commande en ligne aux acheteurs en langue française uniquement. Aucune donnée que vous devez fournir pour passer commande n’est utilisée à des fins commerciales. Utildata System s’engage à respecter la loi belge du 8 décembre 1992 relative à la protection de la vie privée à l’égard du traitement des données à caractère personnel, modifiée par la loi du 11 décembre 1998. Cette loi est accessible en ligne sur le site http://privacy.fgov.be. Utildata System s’engage à faire ses meilleurs efforts pour protéger vos données à caractère personnel, afin notamment d’empêcher qu’elles soient déformées, endommagées ou communiquées à des tiers non autorisés. Utildata System privilégie le règlement à l’amiable des éventuelles réclamations. Toute réclamation doit nous parvenir par lettre recommandée avec accusé de réception à l’adresse de contact mentionnée à l’article 22 dans les 7 jours de la découverte du fait motivant la réclamation. La date la plus favorable au consommateur s’appliquera toujours, en cas de discordance entre la date attendue et la date effective de réception du recommandé. Utildata System s’engage à traiter la réclamation dans les meilleurs délais. Il sera au plus tard donné réponse à la réclamation dans les quinze jours de sa réception. En cas de réclamation fondée, les frais dûment justifiés encourus par le consommateur lui seront intégralement remboursés. Aucune des deux parties n'aura failli à ses obligations contractuelles, dans la mesure où leur exécution sera retardée, entravée ou empêchée par un cas fortuit ou une force majeure. Sera considéré comme cas fortuit ou force majeure tous faits ou circonstances irrésistibles, extérieurs aux parties, imprévisibles, inévitables, indépendants de la volonté des parties et qui ne pourra être empêché par ces dernières, malgré tous les efforts raisonnablement possibles. La partie touchée par de telles circonstances en avisera l'autre dans les dix jours ouvrables suivant la date à laquelle elle en aura eu connaissance. Les deux parties se rapprocheront alors, dans un délai d'un mois, sauf impossibilité due au cas de force majeure, pour examiner l'incidence de l'événement et convenir des conditions dans lesquelles l'exécution du contrat sera poursuivie. De façon expresse, sont considérés comme cas de force majeure ou cas fortuits, outre ceux habituellement retenus par la jurisprudence des cours et des tribunaux. D'un point de vue pratique, les notions de force majeure et de cas fortuit font généralement référence, en droit belge, à des événements survenant en dehors de toute intervention humaine apparente (p. ex. des éléments naturels tels que des intempéries persistantes, un tremblement de terre, la foudre, des inondations, etc.). Le droit belge est d'application. Seuls les tribunaux de l'arrondissement judiciaire de Tournai seront compétents.